Mark Your Calendars for Museum Store Sunday! Do you enjoy shopping for unique items, giving back to your community, and supporting local businesses? You can accomplish all three when you shop at the Museum Store on November 26th during the inaugural Museum Store Sunday! Museum Store Sunday is an annual, international event that promotes conscientious shopping through the support of museum stores and their missions worldwide. 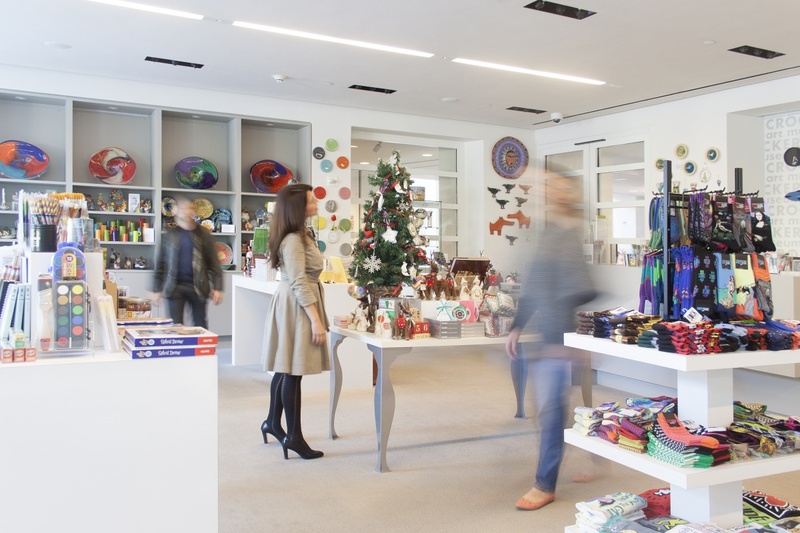 Partake in a relaxing shopping experience, and find one-of-a-kind treasures carefully selected by Crocker Art Museum Store Manager Pam Pesetti. In addition to wowing friends and family, Museum Store purchases directly support the Crocker's education programs and visitor outreach and services. Bonus features include the warm fuzzy feeling shoppers receive when they nab a perfect gift that benefits local artisans, designers, and vendors. Every visitor to the Museum Store on November 26th will be entered in a giveaway to receive a signed Gregory Kondos California 2018 calendar along with a copy of the limited edition catalogue Unveiled: The Crocker Art Museum Collection. There will be three winners chosen, and there is no purchase necessary. Share your Museum Store treasures on social by tagging @CrockerArt, and using the hashtags #CrockerStore & #MuseumStoreSunday!